You would probably know about my lipstick addiction by now. 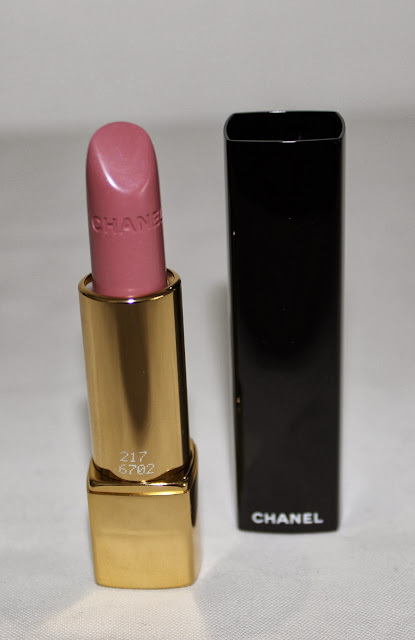 I can never walk past a pretty pink lipstick (especially when it's Chanel) without bringing it home with me. Same story applied when I saw one of the lipsticks released as part of the Nuit Infinie de Chanel Collection. It only took one swatch and a second of thought before the Radieuse Rouge Allure lipstick was coming home with me. The Rouge Allure formula from Chanel is described as a 'luminous intense lip colour'. I find it is the most satiny and shimmery formula that Chanel offers whilst being pigmented. The Rouge Allure lipsticks are very comfortable to wear. They glide onto to the lips, wear for around 3-4 hours and leave my lips feeling quite hydrated. The Rouge Allure lipsticks are housed in the very stylish 'click' tube. Meaning you press on the top of the tube - the gold part shown on the top. When you press in, there is a click and the actual lipstick is released. They are one of my favourite lipstick packagings. Radieuse is a cool toned blue pink with a satin finish. 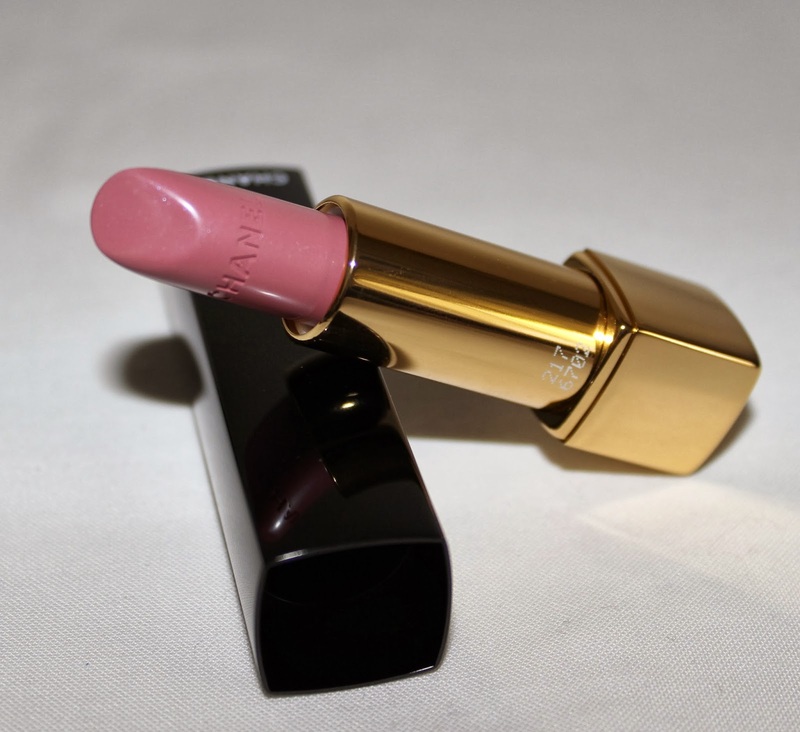 For me it is the perfect everyday colour, it adds a pretty soft pink tinge to my lips with with a nice shine. Almost like I have lip gloss on over the top. This is the type of colour that is perfect for a more intense eye look as it doesn't detract attention from the eyes but compliments it. Radieuse is the type of shade I like to slick onto my lips as I am rushing out the door. It is no fuss but makes you look polished and put together in a second. The swatch below makes Radieuse look a little more rosy than it is in real life and has taken away some of its luminosity. This is two swipes of lipstick. For me this is a lovely lipstick but quite dupable. The formula is lovely as is the colour but I feel it is not a overly unique shade. So unless you are a Chanel fan like me, it is not a must have. Both MAC Angel and Creme Cup would be good dupes for Radieuse. I am happy to have it and will enjoy it but you may find a dupe in your collection already or prefer the slightly cheaper MAC options. 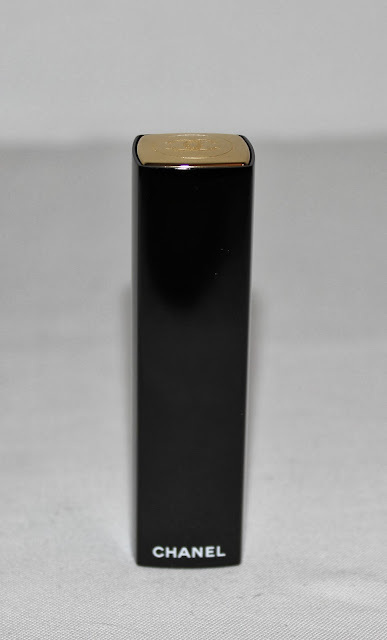 Chanel Rouge Allure Radieuse is limited edition and retails for $50.00 from Chanel Boutiques and Chanel counters. It is part of the Chanel Holiday/Christmas Collection 2013. Will you be picking up Radieuse or looking for a dupe? Are you a fan of blue based pink lipsticks? You make me want to throw my money at the counter ladies at Chanel - seriously take it all. I love MAC Angel and like this one as well. Are Chanel lippes always 50 bucks :O I thought they were more like mid 40's eek! If you love Chanel you will end up disliking any dupes! I love this lipstick so fresh looking in the winter!